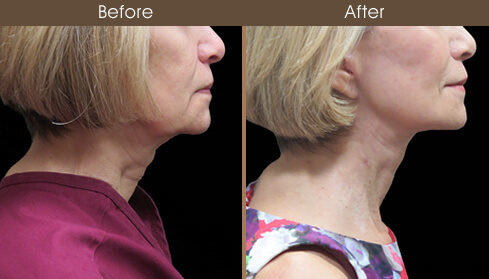 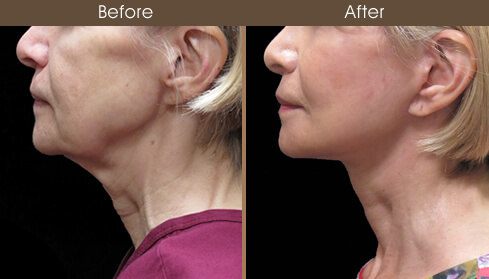 69-year-old female with facial aging underwent a face lift, neck lift, and facial fat grafting/transfer. 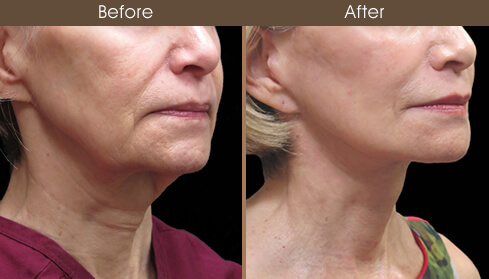 She was concerned with neck laxity, jowls, facial laxity and lipoatrophy of her marionette lines and nasolabial folds. 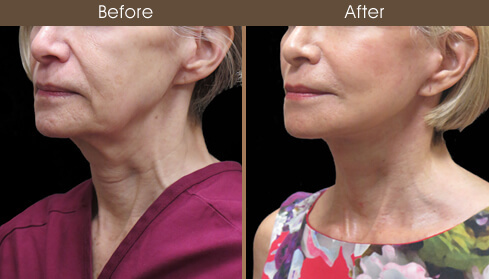 The procedure involved a platysmaplasty to address the neck laxity and a facelift that included an extended SMAS to help address the jowls, recreate the jaw line, and treat the midface laxity. 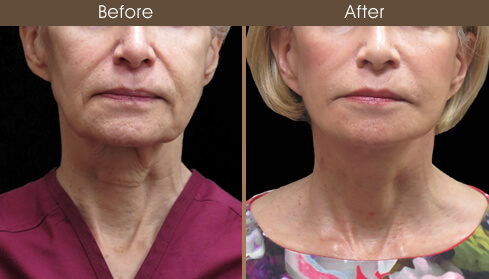 In addition, To treat the volume loss, autologous fat grafting/ fat transfer was performed using a micro droplet technique with volume added to marionette area to create a more youthful look and to the nasolabial folds to soften them.